Frank Lloyd Wright began making contributions to the Modern movement in his home in Oak Park. 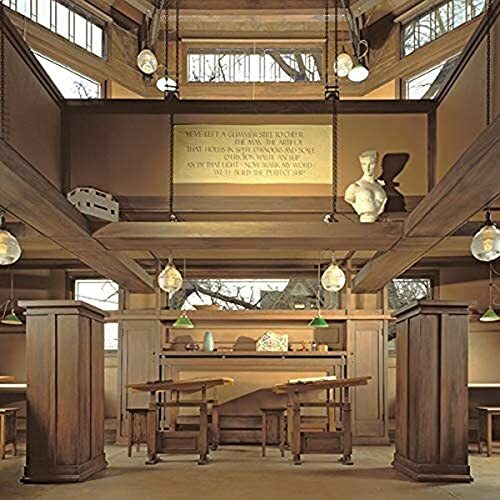 Elaine M. Holzschuh Harrington has been the Curator of the Glessner House (Opus 7: Henry Hobson Richardson, J. J. Glessner House, Chicago) and the Curator of the Frank Lloyd Wright Home and Studio. She has written and lectured extensively about both. Hedrich-Blessing, Chicago's oldest and foremost architectural photography firm, was founded in 1929. From its beginning, the firm has been noted for portraying the most dramatic rendition of a building within the bounds of high architectural accuracy.